Get ready for B1A4 Jinyoung's jaw-dropping transformation in upcoming comedy film 'That Other Man Inside Me'! Starring B1A4's Jinyoung and Park Sung Woong as the two male leads, 'That Other Man Inside Me' is a fantasy comedy about a tough mob boss in his 40's and a scrawny, introverted male high schooler, who end up switching bodies after an accident. 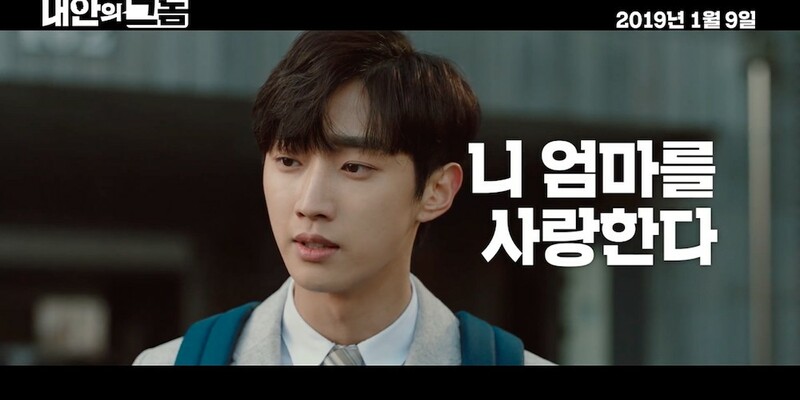 Jumping back and forth from his true persona as the introverted high school student, to a tough mob boss with a fist-packing punch, Jinyoung will be showcasing a unique romance chemistry with actress Ra Mi Ran, as well as a heartwarming father-daughter relationship with actress Lee Soo Min, and more! Check out three different preview teasers for 'That Other Man Inside Me' below! The film premieres in Korea on January 9, 2019. B1A4's Jinyoung is a tough mob boss in his 40's stuck in a scrawny school boy's body for 'The Other Man Inside Me' previews"